University of Prince Songkla (PSU), College of Islamic Studies (CIS), Pattani, Thailand, is hosting an international conference titled "Role of Islamic Studies in Post Globalized Societies," The conference aims to review the reality of Islamic Studies in the Islamic world in general, and in Thailand in particular, and thus benefit from the experiences of institutions and individual experts in this field; in order to elevate the quality of the Islamic studies in a way that suits the challenges of the Post Globalization era. It is worthy to note that this conference reflects the leading role played by CIS in Thai Muslim community, and its aspiration to be a leading center for Islamic Studies in South-East Asia; especially in formulating prospects and features of an Islamic education model which aims to build a well rounded Muslim in his religious and worldly affairs. It is also an attempt to move beyond the status quo of Islamic Education in Thailand, which is still preoccupied with the worries of producing competent and qualified graduates of Islamic studies in the community, and their involvement in various functions in both the public and private sectors. 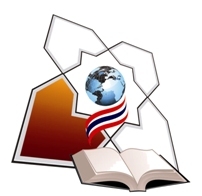 The objective envisaged by CIS is to put in place extended action plans to help create an educational program that makes the individual an active, leading role player in the Muslim society, and a central building block in constructing the current Thai society in the light of the new global system. Indeed the organization of the Conference by CIS, did not come about by mere chance, rather it is the result of a series of seminars and conferences, local, regional and global, CIS initiated or jointly organized in cooperation with organizations, such as: the Conference of Islamic Studies in ASEAN, June 1998, the Conference of Islamic Education of Muslim Minorities in the world, August 2008. All this is in order to keep abreast of contemporary issues witnessed in rapid changes in all spheres of life, especially in cognitive and cultural aspects, and to review the plans and curricula being pursued by CIS, and develop them in harmony with the realities and requirements of fact. Overall, CIS aspires to emerge from this conference with a handful of a good vision, experiences and plans and applied tests that will help it - by God's guidance - in drawing future CIS programs with efforts to improve the quality of Islamic Studies in the Thai society, and that is a necessary process for Islamic Education in Thailand.